Baar, Switzerland and VeeamON, New Orleans, LA – May 17, 2017: Users want the confidence of knowing that their information is available whenever and wherever they need it. In short, they want a seamless Digital Life experience. At VeeamON 2017, annual customer and partner conference, Veeam® Software, the innovative provider of solutions that deliver Availability for the Always-On Enterprise™, today unveiled a raft of innovations to help enterprises ensure ‘Always-On Cloud’ Availability in a Multi-Cloud and Hybrid Cloud environment. Analytics and Visibility with actionable insights for data management, operational performance and compliance across your entire infrastructure. Enterprises can now monitor, analyze and act with confidence. Veeam and its ecosystem of partners provide robust data analytics and discovery, simplified data management, workflow automation and more. Today at VeeamON 2017 the company unveiled NEW Veeam Availability Suite v10 and NEW extended Veeam ‘Always-On Cloud’ Availability Platform. Native object storage support, freeing up costly primary backup storage with policy-driven automated data management to reduce long term retention and compliance costs. This includes broad cloud object storage support with Amazon S3, Amazon Glacier, Microsoft Azure Blob and any S3/Swift compatible storage. With v10, Veeam offers a complete end-to-end Availability and cross-cloud data management platform for enterprise customers by supporting any workloads (virtual, physical or cloud) on any infrastructure in Multi-Cloud and Hybrid Cloud environments (private, public, managed or SaaS). Amazon Web Services (AWS) is becoming a popular choice for customers of all sizes. However, it is customer’s responsibility to protect and recover their applications and data running in AWS. As more mission-critical applications are deployed in AWS the need for enterprise-class data protection and Availability solution is increasing. Veeam Availability for AWS (delivered through a Veeam - N2WS strategic partnership) is the industry’s first cloud-native, agentless backup and Availability solution designed to protect and recover AWS applications and data helping enterprises reliably move to and manage a Multi-Cloud or Hybrid Cloud environment. This solution mitigates the risk of losing access to your applications and ensures protection of your AWS data against accidental deletion, malicious activity and outages. Take full advantage of powerful and reliable recovery technologies to achieve industry-leading RTOs including instant recovery, granular file and application recovery. Veeam Availability for AWS is well positioned to revolutionize AWS data protection and become #1 Availability for AWS - the same way as Veeam has transformed VMware data protection. Veeam Agent for Microsoft Windows, previously announced and being made generally available today at VeeamON 2017. This solution extends Veeam “Always-On Cloud” Availability Platform to public cloud and physical servers. It builds upon the success of Veeam Endpoint Backup — a product which has been downloaded over one million times since April 2015. This new solution offers features and capabilities designed to ensure Availability for Windows-based physical servers, workstations and endpoints, as well as Windows workloads running in public clouds including Microsoft Azure, AWS and other. The Platform delivers new Universal Storage API framework adding IBM, Lenovo and INFINIDAT to Veeam’s ever-growing ecosystem of strategic alliance partners which includes HPE, Cisco, NetApp, Dell EMC, Nimble and Exagrid. These combined solutions enable users to leverage innovative and powerful 1 + 1 = 3 capabilities dramatically improving ‘Always-On’ Cloud Availability and reducing costs without negatively impacting production. StarWind Cloud VTL for AWS and Veeam offers cost-effective and scalable tape replacement with Amazon S3 and Glacier object storage, helping businesses to meet regulatory requirements for data retention with no changes to the established tape-centric data archival processes. “With these new innovations across the Platform and ecosystem, Veeam is once again pioneering the market. Enterprises have long struggled to juggle user demands, but with Veeam Availability Suite v10, we are delivering wide array of new capabilities that will enable our portfolio of more than 242,000 customers deliver rich, seamless Digital Life experiences to their users,” added McKay. “INFINIDAT is pleased to be among the first partners to leverage Veeam’s newly announced Universal Storage API framework to provide direct integration between our Infinibox portfolio of petabyte-scale enterprise-class data storage solutions, and Veeam Availability Suite,” said Jacob Broido, INFINIDAT’s Chief Product Officer. “The combined offering provides organizations with unprecedented levels of application performance, Availability and efficiencies to power their critical application workloads across enterprise data centers and hybrid cloud environments." "IT organizations are faced with ever-stricter service level requirements, more onerous governmental regulations implemented as a patchwork across geographies and stiffer penalties for any failure to meet them," said Phil Goodwin, Research Director, IDC. 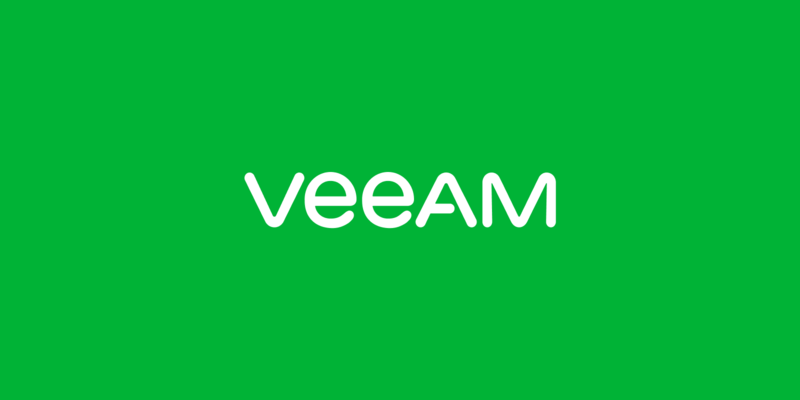 "Veeam's focus is on developing tools to help IT professional relieve the burden of data availability and governance that they face every day. IT leaders who attend VeeamON 2017 will have a unique, consolidated view of the Veeam ecosystem of solution providers, service providers and other partners to help them make the most of their investment in Veeam products."